Let me tell you, all the fall decor that I am seeing on Pinterest is TROUBLE…I love them all and am on total fall-decorating-idea-overload! So much so that I am having trouble picking one or two ideas to actually try out myself. All those fall colors and textures are so beautiful…pumpkins and burlap and acorn and wood and leaves and corn husks and branches…I just don’t even know where to begin! I first discovered this poem when a local children’s choir I assist with performed a lovely musical setting of the text (an arrangement by Elam Sprenkle – I’d highly recommend it to any choir directors out there!). It just paints a wonderfully vivid and fun picture in your head, doesn’t it? I wish I could have fit the entire poem onto a print, but I decided to just focus on the first verse. Follow along with unOriginal Mom in some way – Facebook, Pinterest, Twitter, or BlogLovin’! Are you a “free printable junkie” like me? Take a look at the unOriginal Mom Winner’s Circle for more! 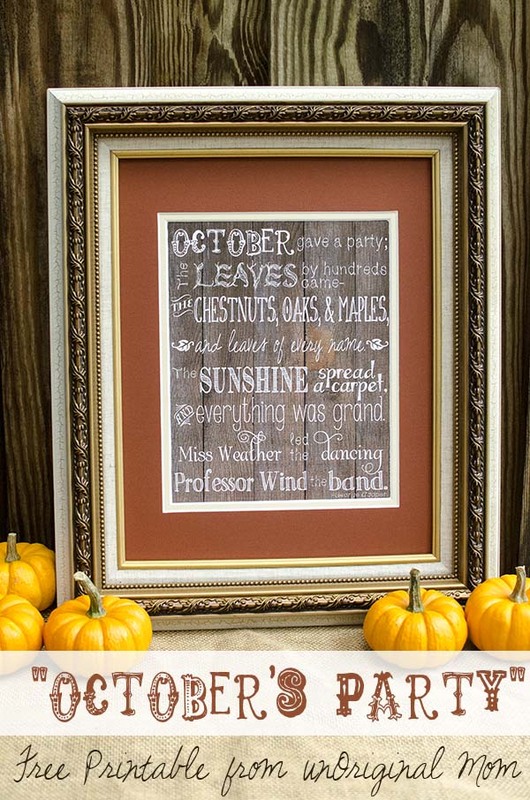 Meredith, this might be my most favorite fall printable EVER! Of course, as a lover of all thing poetic, this tugged on my heartstrings. 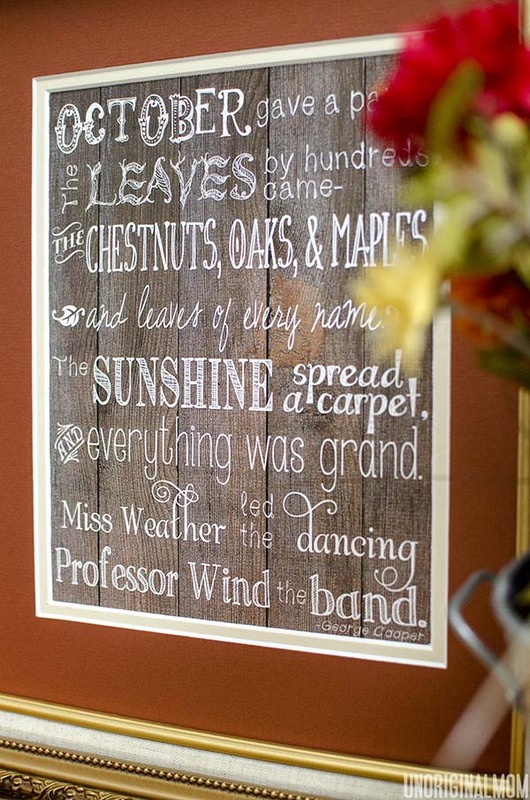 My favorite line: “Professor Wind the Band.” Ha ha. Personification gets me every time! And your design is beautifully executed. Thanks for the free printables, too! Off to share this with my readers on FB, Twitter, Pinterest, Google+…the whole nine yards! Aw, thanks so much Lauren! So glad you like it! That’s my favorite line, too…I just imagine this jolly old man with white hair and big cheeks standing in front of a band full of leaves, haha. Thanks for sharing with your readers!! Thanks Tori, so glad you like it! I was getting a little burnt-out on all the chalkboard printables and decided to try something a little different…I’m happy with how it turned out! I’ll be featuring you tomorrow over at Tell Me Tuesday. Thanks for linking up! Have a great week Meredith! Oooo, yay! Thanks so much, Tori! 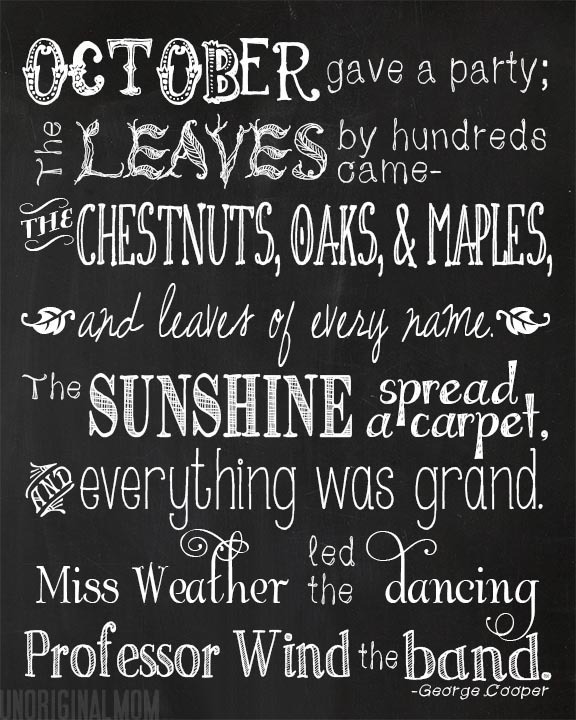 I agree–I’m loving all the fall decor ideas I’m seeing on Pinterest. Especially this printable–I’m pinning this right now! I found you through Home Stories A to Z.
I have a blog hop called Frugal Crafty Home and I would LOVE it if you could link this up. 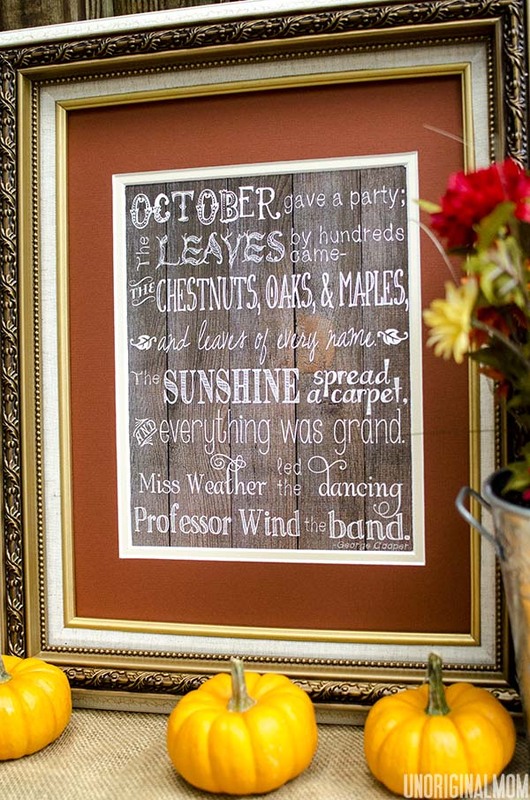 We love seeing printables like this. Thanks and have a great night! Hi, there! 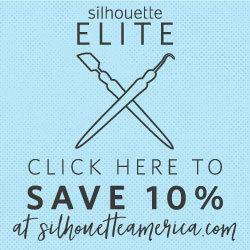 I found you at Craft – O – Maniac’s blog hop, and I’m so excited to be a new follower. This free printable is adorable!! I’d like to invite you to link it up at the linky party on my blog, Tips & Tricks. The party is cohosted by two other bloggers and myself, so each link appears on three blogs, and we share each link on Facebook and Pinterest.. so, it’s great exposure. Hope to see you there, and can’t wait to spend some time reading more on your site. 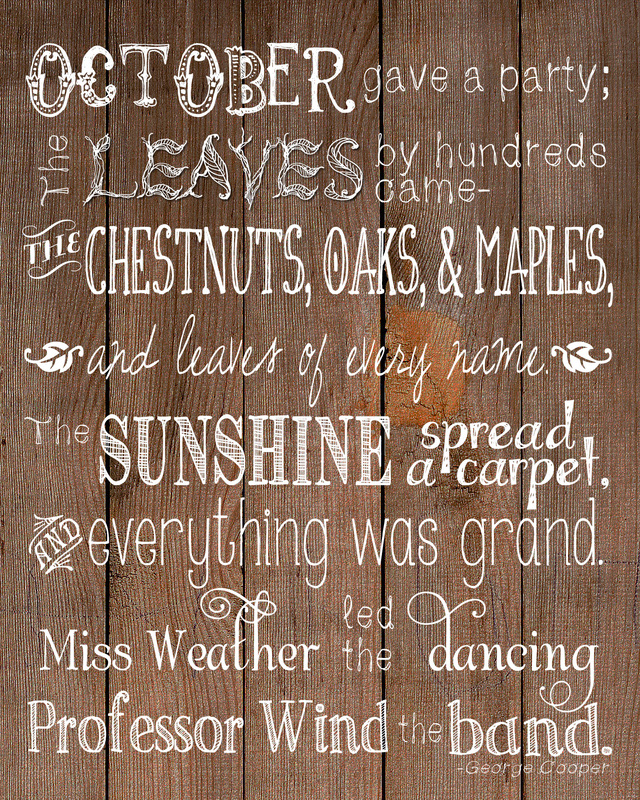 I just love this printable – adorable! :) Have a great week! Your free printable is so pretty! I love the fonts and the frame. Thanks so much for sharing at the Frugal Crafty Home Blog Hop! Have a wonderful day. Wow, what a pretty printable. I love the wood background. It seems to fit the season so well. I think I like the wood background the best! 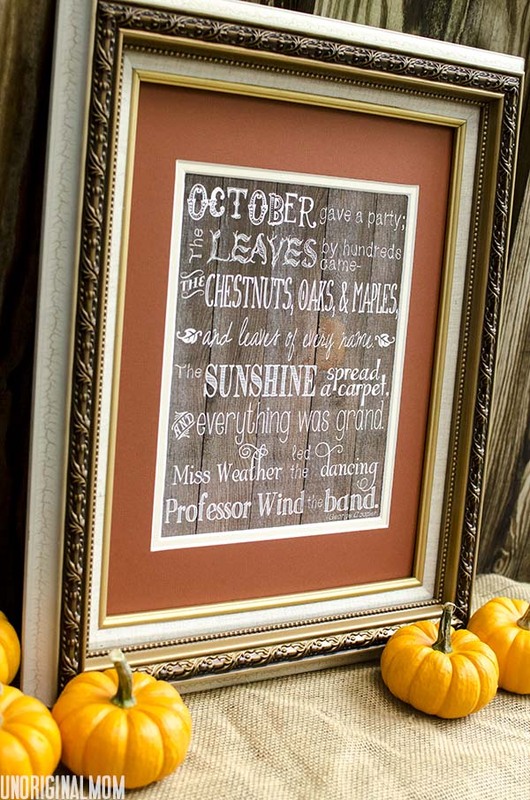 I LOVE these printables…I love the rustic look of the wooden background…looks like fall! I was thinking about this poem and wished I could find it. I remember it from grade school and really enjoyed it. I could never remember more than a few lines. Now, thanks to you, I have the whole poem to enjoy.